So Jim, would you like a spoon for you face? 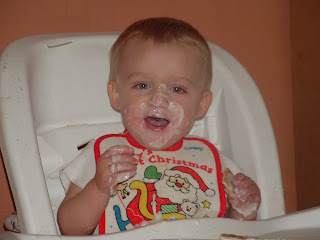 Boy did he like that yogurt. He didn't want to use his spoon though. He wanted it on a plate, and to use both fists to shove it into his mouth. That's a boy for you!